Matthew Avery Sutton draws on extensive archival research to document the ways an initially obscure network of charismatic preachers and their followers reshaped American religion, at home and abroad, for over a century. Perceiving the United States as besieged by Satanic forces—communism and secularism, family breakdown and government encroachment—Billy Sunday, Charles Fuller, Billy Graham, and others took to the pulpit and airwaves to explain how Biblical end-times prophecy made sense of a world ravaged by global wars, genocide, and the threat of nuclear extinction. Believing Armageddon was nigh, these preachers used what little time was left to warn of the coming Antichrist, save souls, and prepare the nation for God’s final judgment. By the 1980s, President Ronald Reagan and conservative Republicans appropriated evangelical ideas to create a morally infused political agenda that challenged the pragmatic tradition of governance through compromise and consensus. Following 9/11, the politics of apocalypse continued to resonate with an anxious populace seeking a roadmap through a world spinning out of control. Premillennialist evangelicals have erected mega-churches, shaped the culture wars, made and destroyed presidential hopefuls, and brought meaning to millions of believers. 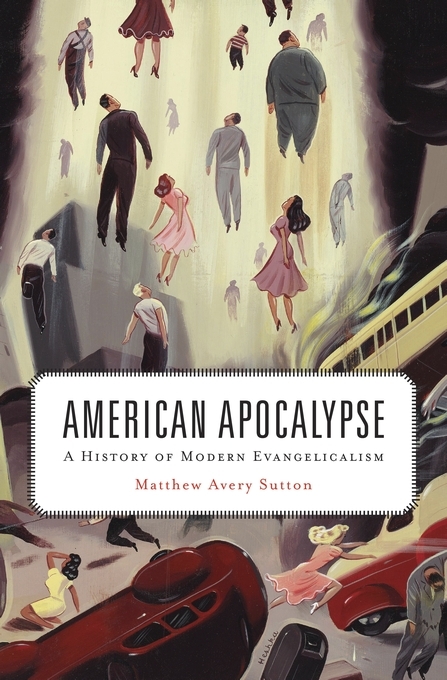 Narrating the story of modern evangelicalism from the perspective of the faithful, Sutton demonstrates how apocalyptic thinking continues to exert enormous influence over the American mainstream today.